Grab a cup of coffee, find a comfy seat and discover some of my favourite blog posts, films, etc from this past week. “Wild Shepherdess” with Kate Humble. If, like me, you love discovering how people live around the world, then do watch the first 2 episodes of this! Kate Humble visits herding families in Afghanistan and Peru, taking part in their everyday lives (in a TV sort of way). Absolutely fascinating! Episode 3 takes her to Australia and focusses more on the actual sheep farming side of things. Not as interesting (to me, anyway). 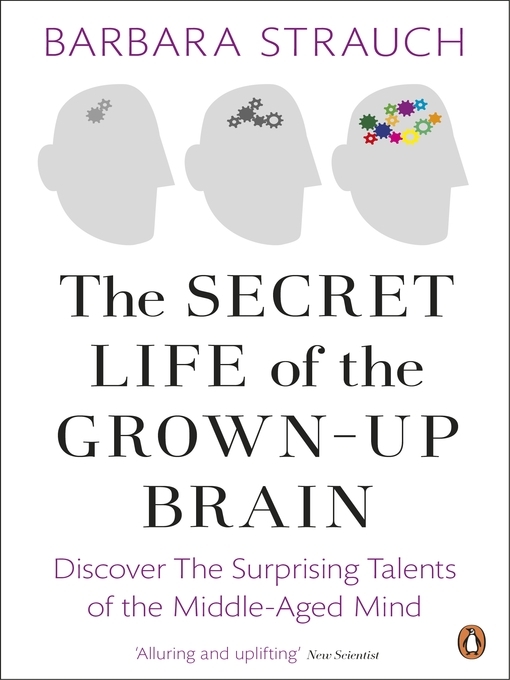 Aside from the fact that it is somewhat depressing that a book about the “middle-aged brain” seems relevant at all, this is fascinating stuff. New research into how our brains change and develop as we get older (make that “more mature” 😉 ). There are things that get harder, definitely, but there are also things that we get better at. At times, it all gets a bit too scientific for me but overall very very interesting – and encouraging! A very moving and personal account by BBC correspondent Lina Sinjab of how the Syrian war has changed both her home city, Damascus, and herself. Grab a cup of coffee, find a comfy seat and discover some my favourite blog posts, films, etc from this past week. 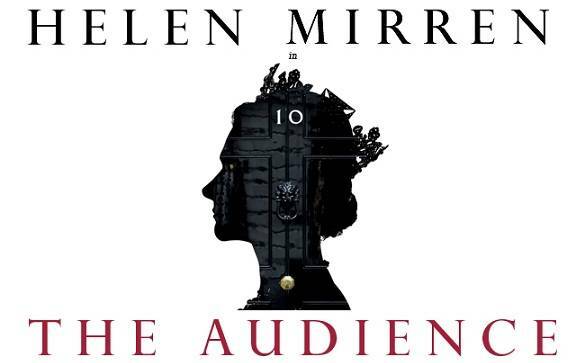 If you get a chance to see The Audience with Helen Mirren – go!!! It is phenomal! I saw the live broadcast from London at a cinema in Berlin and was blown away! Here is a short synopsis (from their website):”For sixty years Elizabeth II has met each of her twelve Prime Ministers in a weekly audience at Buckingham Palace – a meeting like no other in British public life – it is private. Both parties have an unspoken agreement never to repeat what is said. Not even to their spouses. The play does not follow chronological order, meaning Mirren in one scene plays a 30 year old Queen and in the next scene a 70 year old. The costume changes mostly happen on stage (and I have no idea how they do it) but even more impressive is how Helen Mirren adapts the way she moves and stands according the Quenn’s age. Amazing! Speaking of this wonderful actress, the BBC just had an interesting programme, charting her career: The Many Faces of … Dame Helen Mirren. Essentially a fascinating and very well written (Greek) family saga. 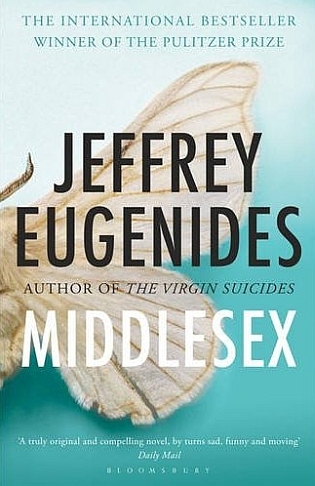 Eugenides traces one family from what is now Turkey, through terrible persecution and on to the US. 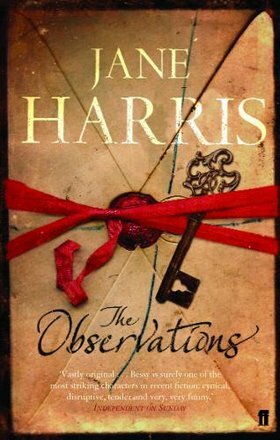 In places, the writing is exceptional – his description of the monotony of working on a production line is phenomenal! I also very much appreciated the way he develops the characters and particularly the relationships. He is very compassionate and seems to like his characters, while also describing so well the subtle and undramatic changes in relationships that step by step lead to them being completely transformed. I think it was some time back in February that I first started checking when Springwatch might be back 🙂 So you can imagine that I am a tad excited the time has finally come! For someone who is not normally very interested in nature and science, I have come to really love this programme. Following the nesting birds in particular is absolutely fascinating! The characters, the drama – better than any soap opera! And yet very informative at the same time. I have learned a lot and have certainly found myself paying a lot more attention to wildlife around me. Brilliant book! 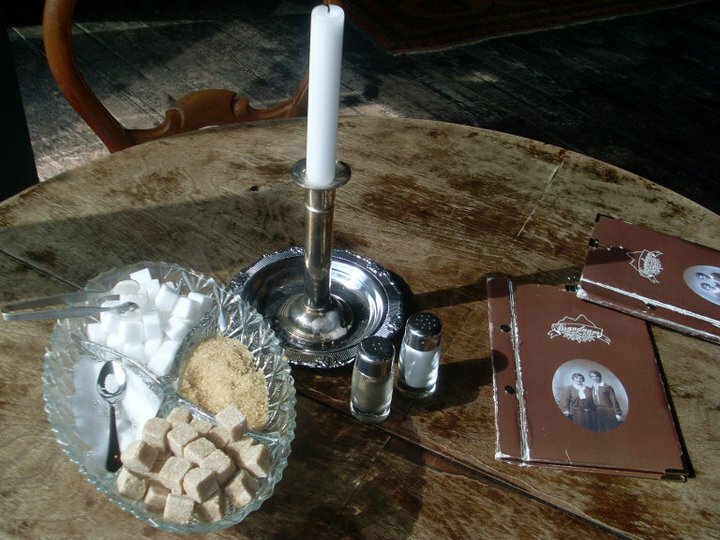 Set in Scotland in the 1860s, it’s the story of Bessy, a girl from the slums of Dublin and Glasgow, who ends up working as a maid in a big country house. Her mistress occasionally gives her some slightly odd tasks. Slowly, layer by layer, Bessy uncovers what is really going on. In the process, we also learn something about her own, pretty tragic, life story. For all that, the book is not depressing at all, rather there is a lot of warmth and humour. I have only just discovered “The Village” on the BBC, the story of 20th Century England played out through a family in a Derbyshire village. Definitely not rose-tinted and thus quite tough to watch in places, but so far absolutely worth it! 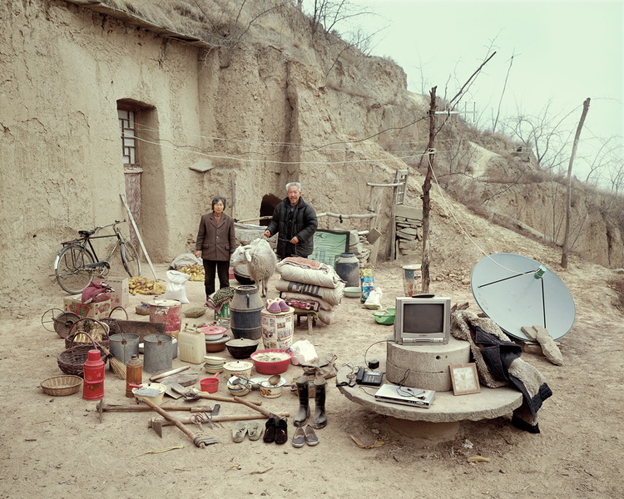 Earthquake Expert – a moving account of the recent earthquake in China from an almost-eye-witness. Coupled with a very amusing story, illustrating the perils of language. Expert and expat – so close and yet so far…Read for yourself! “Lu Lingzi was living the dream of practically every student that every English teacher in China has had in his or her class. We know them well: the young man who wants to earn an MBA and make his millions; the young woman who wants to become a scientist and discover the cure for cancer.” Very interesting reflection on the dream that brought Lu Lingzi, who died in the Boston Marathon bombings, to the US. Very interesting programme on “Crossing Continents” on BBC Radio 4, talking to staff and students at a Belarussian university in exile in Lithuania. Nothing like a good old stereotype! Are they so infuriating because they are so true and yet so totally off the mark? Because so many individuals act in ways that negate them, yet when looking at a whole culture, we do have to generalise? Either way, really interesting programme/article on the BBC’s ‘From Our Own Correspondent” this week. “Getting behind Israeli ‘frankness'”. It’s the ‘why’ that fascinates me. Why is it that British English is full of “Thank You”, Excuse me”, I’m sorry” and “Would you mind…”? Why is it that Germans are fairly comfortable with silence, whereas Americans are not? I know, stereotypes again. And yet… What shapes these cultural differences? 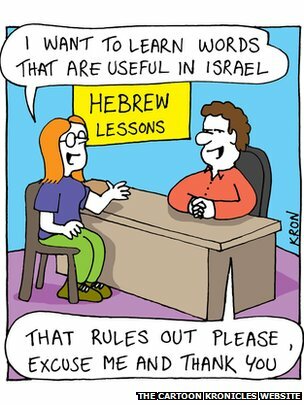 In the programme, Raffi Berg attempts an explanation of the famous (or infamous) Israeli frankness. Is it due to most people having served in the army? Did niceties get lost in the huge influx of immigrants with different cultural and language backgrounds? Do the harsh realities of life (geographical and political) in the Middle East shape even this? Does the frankness serve a bigger purpose, i.e. to get things done and move forward? I don’t know but I find it so intriguing to try and look behind the obvious, to try and understand and make sense of what has shaped a people and a culture! What discoveries, however tentative, have you made about the culture you are living in? What might be some of the whys? The content of a home. What stories does it tell? About the people. About their lives. About the country and society they live in. Some of it seems so incongruous. A mud house and a satellite dish. Only the very basics and yet a television. Part of me really wants to climb into the picture, to meet the people, to hear the real stories. Understand the constraints (financial and therwise) on their lives. Ask them what it is that makes their house a real home for them. So much I would love to know. Why are there no books? Is that telephone maybe the only link to family far away? What are the precious things, the things that hold special memories, the things that make them smile? How does the rapid economic development in China affect them – and bypass them? So many stories I would love to hear! Funny things happen when you catch up on old BBC podcasts. Sometimes you make connections you might not have made otherwise. That’s what happened to me this week. First came a programme on the elections in Angola, and on the opening of the refurbished marginal in Luanda. I’d never heard the word “marginal” (not pronounced the Portuguese way, anyway, and clearly relating to a geographic feature) before but quickly figured out that it was the waterfront, in this case now a rather posh one. Then a couple of days later, my ears perked up when the word marginal came up again. This time we were in Maputo/Mozambique. We’d gone from one side of the continent to the other. From the Atlantic to the Indian Ocean. And yet the same Portuguese word was being used. Here’s where the funny connection happened. I remember being at Humboldt university in Berlin/Germany, talking with two students. One from Angola, the other – you guessed it – from Mozambique. And the language they were speaking to each other – Portuguese. Because both countries used to be Portuguese colonies. This was the mid 90s, and those students had come to what at the time they arrived was East Berlin. Back then, all three countries had socialist governments, hence the partnerships between universities. It struck me then and it struck me again now: the decisions people make, that governments make, affect us in so many ways, even years later! Countries colonising other countries, and current political systems, led to an Angolan student and a student from Mozambique speaking to each other in Portuguese at a university in Germany! Pretty crazy!